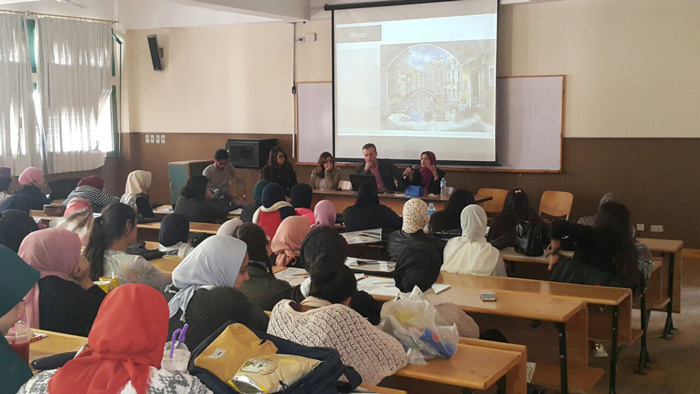 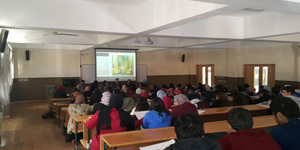 The faculty of Arts and Design held a seminar to further discuss the societal research project already submitted by the faculty students on “Interior Wall Treatments by Painting” in PUA annual competition for societal research projects. The seminar was given by Prof. Waleed Matar, a Lecturer in the Painting Department on Tuesday 5/12/2017. 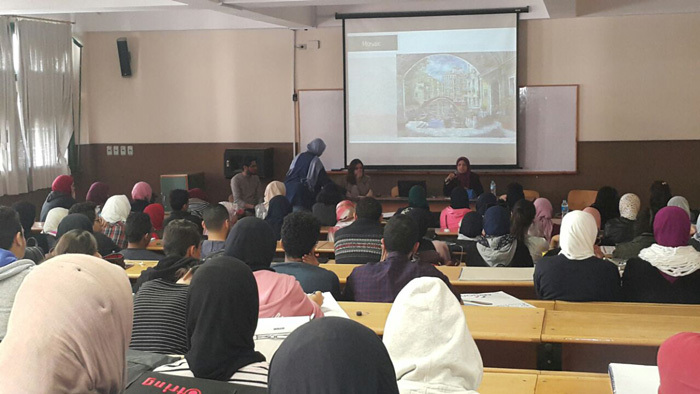 This was held under the auspices of the Student Activities Department and supervised by Associate Prof. Nahla El- Deeb, the Student Activities Coordinator.